The slide is temperamental, capricious and poorly-designed. Before I became a real, actual owner of a modern motorhome, I assumed the slide was a weird, alien and possibly perfect bit of engineering executed by wise, unflappable redneck overlord engineers who felt for me neither pit or hostility. It turns out I was wrong in every possible way. Also, I made no such assumption. The slide is temperamental, capricious and poorly-designed. 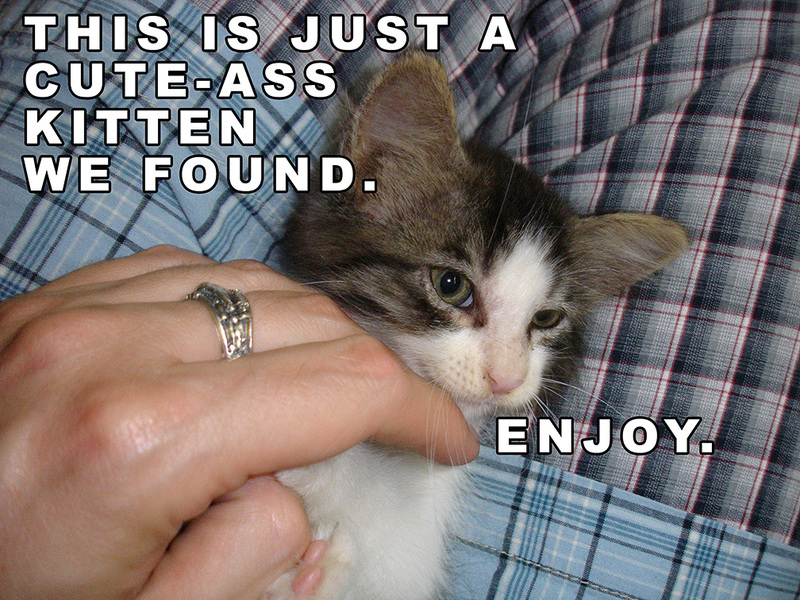 Especially if you accidentally close the slide on a plastic step-stool. Yes, I did that. Made a nice little hole in the wall, too. Especially if you accidentally close the slide on a plastic step-stool. Afterwards, the slide became noisy and balky, eventually ejecting one of the thick rubber seals that kept out rain, wind, and I assume, badger armies. I had always accepted any and all maintenance issues with a mixture of resentment, resignation and resilience. But the slide was an utter mystery to me. Further, the slide is huge and heavy and I am a weak-kneed daisy-sniffing artist type. 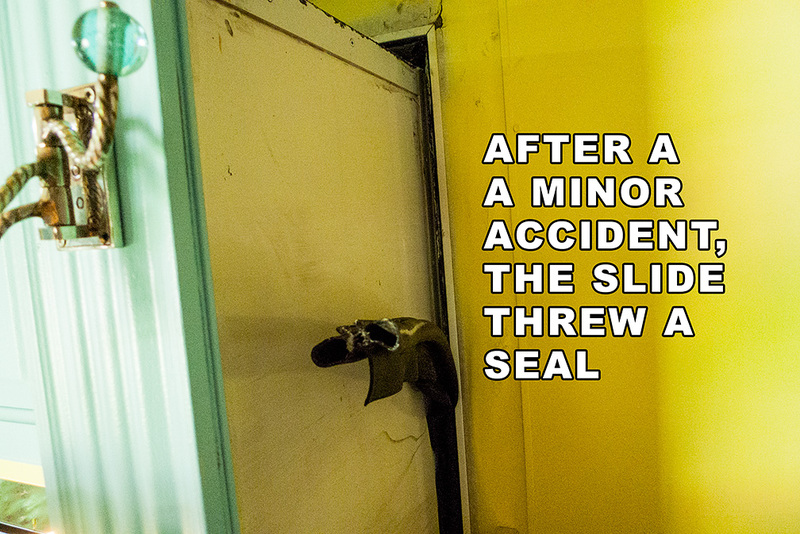 So when the slide became misaligned and threw a seal, I initially assumed it was job for the professionals. Months later, I stand by this assessment: this really is a job for professionals! But, really, any and all slide adjustments are quite accessible to the novice. 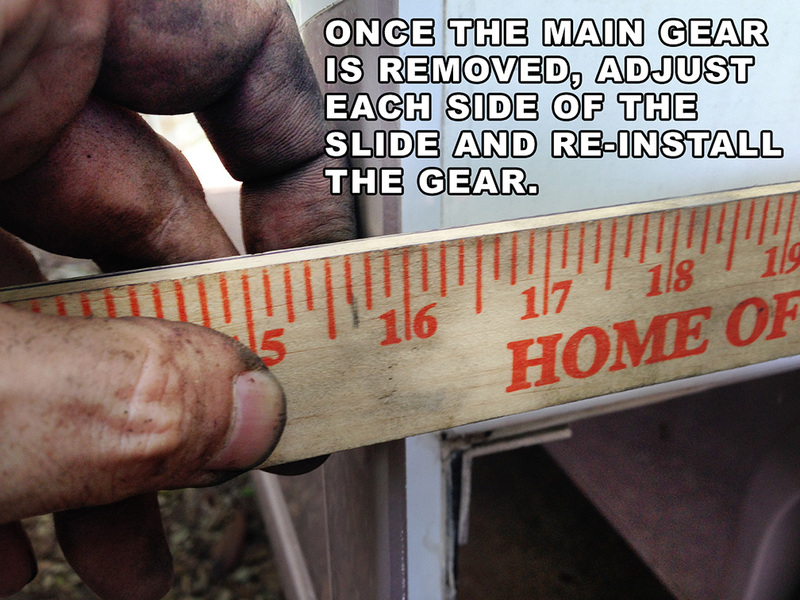 One set of adjustments lets you modify the “level” of the slide. 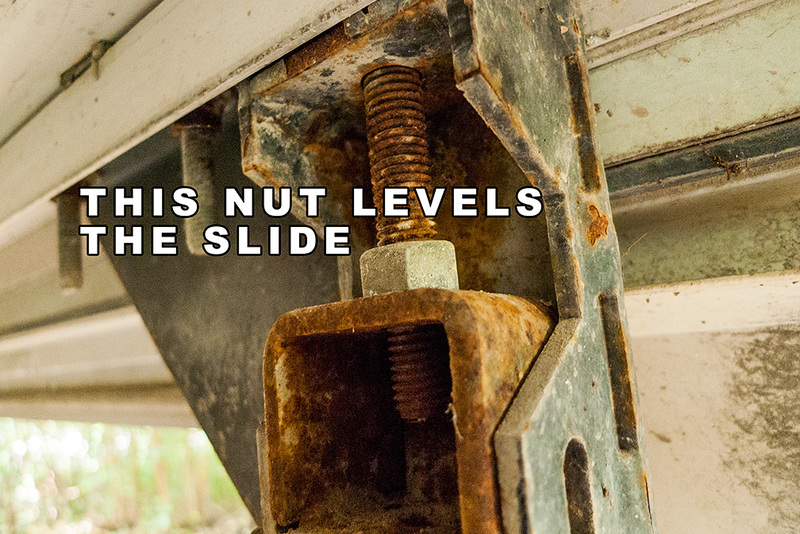 It is frighteningly simple, a few bolts lock the slide and a single nut raises or lowers the slide. The next adjustment moves the slide to the right or left, relative to the vertical “true” of the motorhome wall. In my case, a few bolts loosened made the adjustment quite easy. 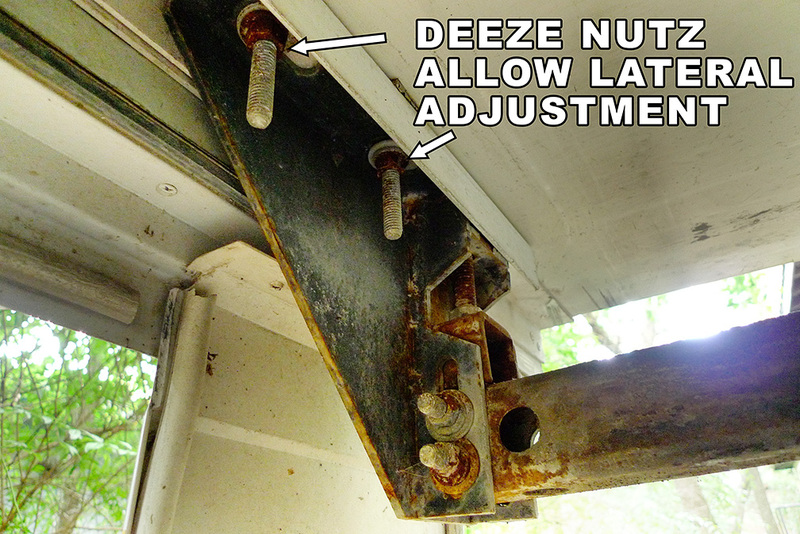 The toughest adjustment, which sets the slide face-seal flush against the motorhome wall, is achieved by loosening or entirely removing the heavy drive gears that extend or retract the the slide. 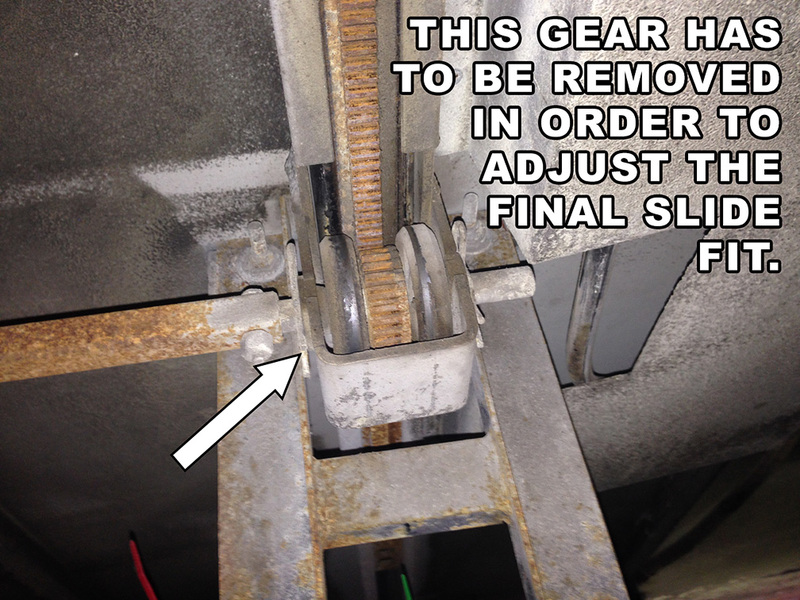 The gears are disengaged or removed and the slide is manually shoved in to an even place. Then, the gears are replaced or re-engaged. Honestly, I’m not sure I’d ever recommend that a casual mechanic attempt this adjustment. I did it out of necessity and stubbornness. Bear this in mind: the slide has three basic adjustments: lateral, level-rotational and horizontal. My adjustments were fine until, for some reason, the slide began to creep out during travel. This creep did not present any problems until I added a single manual slide-lock, which was added to the front-most corner of the slide. The result was that the rearmost slide ejected it’s seal. Slides are stupid and designed by mean, callous bastards who need to be beaten into unconsciousness with their own (presumably) short, useless dicks.